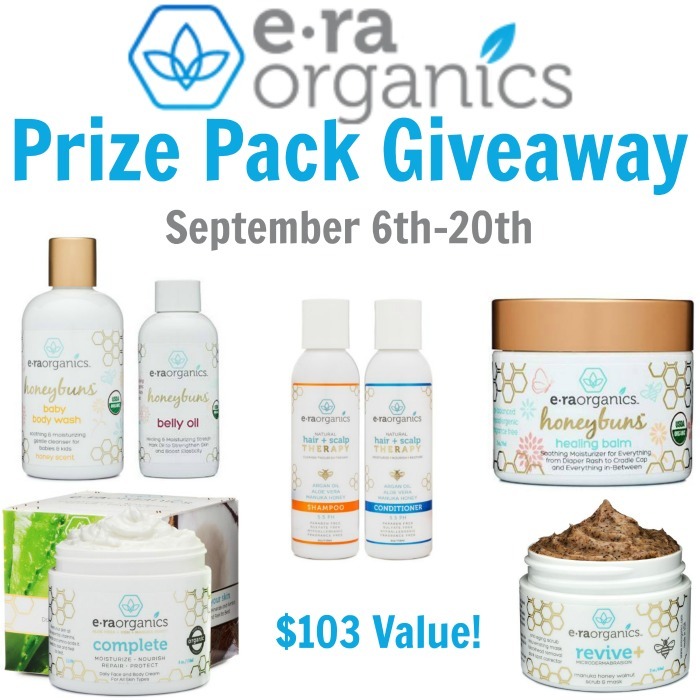 ERAOrganics Prize Pack Giveaway | A Savings WOW! Use Amazon Prime to receive free 2-day shipping when you purchase the ERAOrganics products from Amazon.com. Prize Package includes: ERAOrganics Scrub, Complete, Shampoo & Conditioner, Healing Ointment, Stretch Mark Oil, and Baby Wash.
Give­away begins September 6th, 2016 at 8:00 pm EST and ends September 20th, 2016 at 11:59 pm EST.